I just realized that I hadn't provided a summary of my last freshwater trip, so I apologize. Life can get hectic with a child learning to walk and another child engrossed in a variety of summer activities and camps. 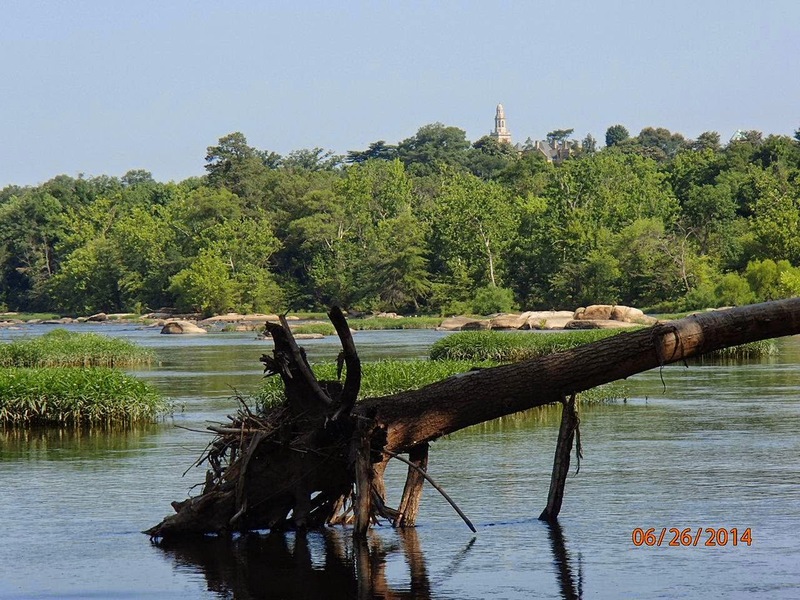 A couple Fridays ago, I found myself with a narrow window to fish, so I hit the James River. 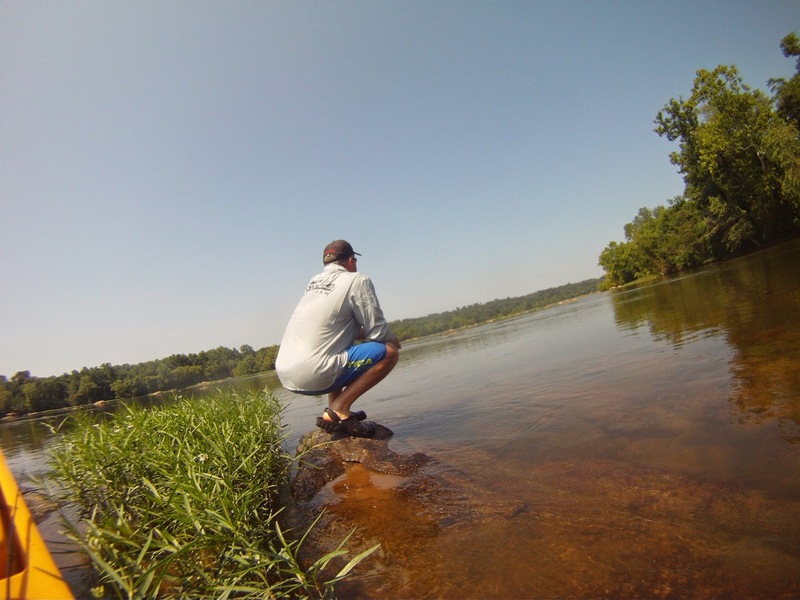 I launched at Reedy Creek and made my way out to some slow flows with lay downs along the banks. It also gave me a chance to try out the new AFTCO fishing shirts I received as part of my Hobie Fishing Team package. Let's just say that I've found out that the AFTCO clothing is top notch and will become a staple in my fishing clothing from this point forward!! I was using a variety of PowerTeam Lures offerings on the day rigged on my Bull Bay Rods arsenal. I had a Food Chain Tube, a JP Hammershad and a Seibert Outdoors jig rigged with a Craw D'oeuvre trailer for my outing. I launched into Reedy Creek and started working a couple lay downs right away. Not even 10 minutes after I launched, I had landed a spunky river largemouth that nailed the JP Hammershad as it bounced across a forked lay down. Made my way over to another lay down with some rocks around an island and landed a little smallmouth at the tail end of the island as the Food Chain Tube bounced along. A few minutes later, another little smallmouth hit the FCT as it bounced around a large boulder. Eventually, I made my way over to my target area and started drifting with the meandering James and came across a huge lay down with a significant amount of push water and a nice trough behind it. I worked the FCT through the push water a couple times to see if anything was waiting. 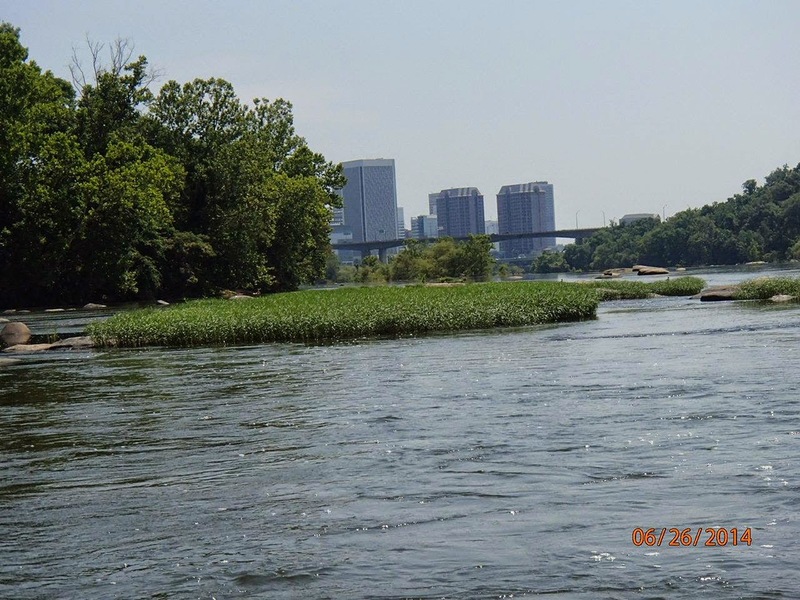 I wasn't paying attention and started to look around and take in the beauty of the James. When I looked back down, a gar of at least 40" in size had bit my FCT but not realized it was hooked. I applied slight pressure to turn him, but he freaked out and turned into the lay down. When he did, the line wrapped around the scales behind his head and snapped the leader clean. I was rigged for smallies an only had medium gear with 8lb. leader. If he had turned left, I had a chance, but alas it wasn't to be. 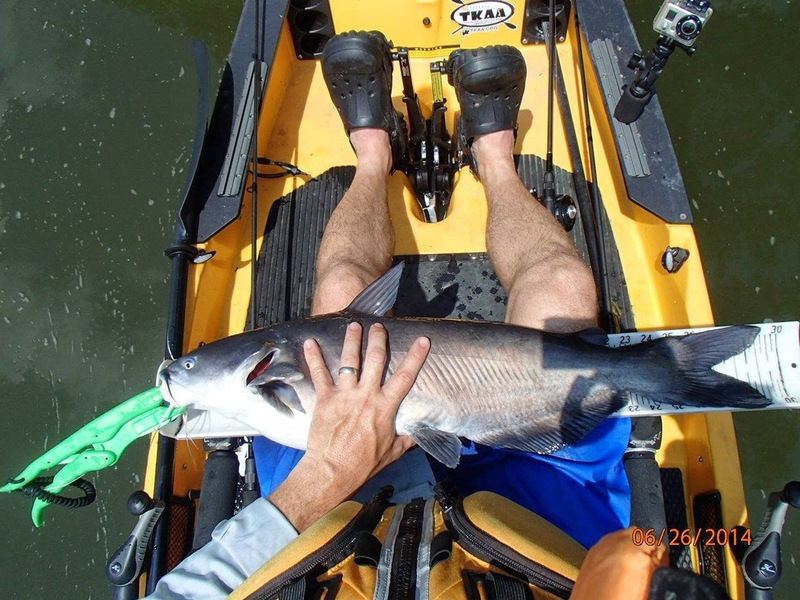 I kept working the lay down and the trough and was rewarded with my largest freshwater fish to date out of the kayak and a personal best for the species - a healthy 29 1/4" channel catfish, 3/4" shy of a Virginia Freshwater release citation. A short while later, I added another personal best and species to the list of fish caught - a 22" gar. In total, I only landed six fish on the day (1 LMB, 3 SMB, 1 channel cat and 1 gar), but it was still a great day on the river. Here's a video compilation of the outing.